Accident reports can be used as crucial evidence when filing a claim for your car accident damages and injuries. 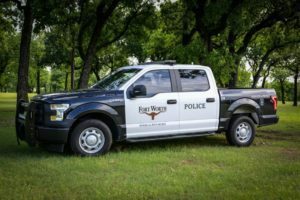 If you have recently been involved in a car accident and the FWPD filled out a car accident report, there are a couple of ways of getting access to a copy of your Fort Worth police department accident report. We’ll get your Fort Worth accident report for you. Just provide the details of your accident, and we’ll do our best to track down your Fort Worth accident report and email it to you. Fort Worth accident reports can be picked up in person at the Fort Worth PD Headquarters. Their customer service hours are Monday through Friday from 7 am to 5 pm and are located at 1000 Calvert St, Fort Worth, TX 76107. If you are unsure if they have your report on file, give their offices a call at (817) 392-4160. If you choose to request a Fort Worth accident report through the mail the report will cost $6, in addition, there will be a report search fee of $6. However, if you deliver the order form in person you will not need to pay the report search fee. You can also retrieve a copy of your Fort Worth car accident report online by visiting the Fort Worth PD Accident Reports website and searching by the report number. If you are looking to purchase your Fort Worth car accident report online it will cost $11. You can also have the report emailed to you by sending in the Customer Order form. Choosing the option to have the report emailed to you. If you choose to request the report by mail you will need to either provide a credit card number, a cashier’s check, or money order. Personal or business checks are not allowed.